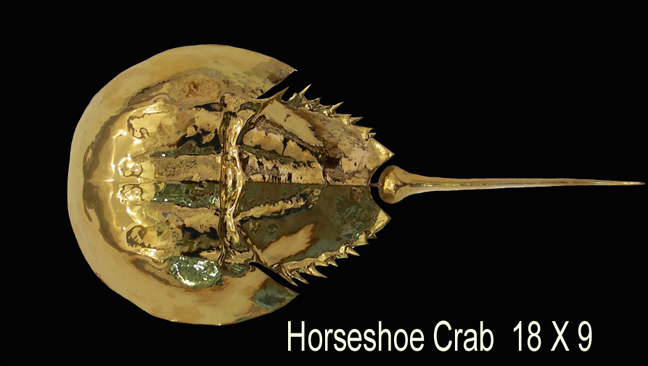 and 4 varieties of mammals and the horseshoe crab out of clay. Each fish is hand signed, numbered, dated and the name of the species are all etched on the back. They hang just like a painting. All you need is a nail. They are glazed throughout so they can hang out of doors. We live in Southern New England on Buzzards Bay. My wife and I each grew up on the bay, and gained a healthy admiration for marine life and we'd like to pass it along. I have been making pottery for 30 years, and started making the fish in 1991. We make plaster molds of real fish, and then hand-press clay into the molds. 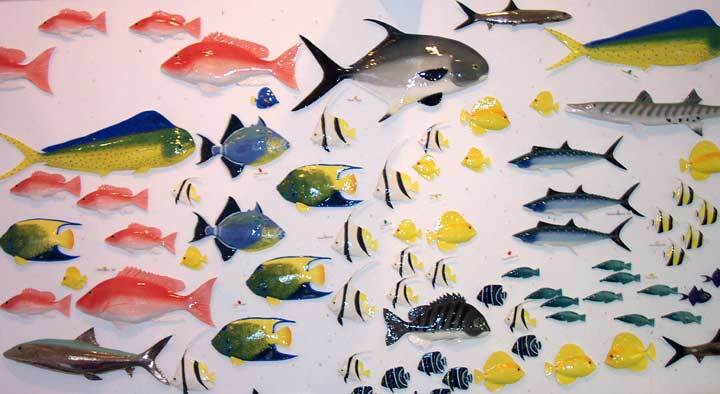 We end up with a clay impression of the fish,which we paint with glazes and fire to 2000 degrees. Our goal is to be able to offer all of the major species of fish in New England. We also have a lot of fish from the south. We offer some fresh water fish, and salt water reef fish and marine mammals and we are frequently adding more to our stocks.